In June, 1942, Germany began working on a new secret weapon. It was officially known as the F2G-76 but was also called Vergeltung (Retribution) as it was built in response to the mass bombing of urban areas in Germany. British intelligence first became aware of this new weapon when on 22nd August, 1942, a Danish naval officer discovered an early test version that had crash landed on a small island between Germany and Sweden. The officer sent a photograph and a detailed sketch of the bomb to Britain and preparations began to deal with this new weapon that had the potential to win the war for Germany. Military intelligence eventually discovered that the V-1 missile was being built at Peenemünde and in May, 1943, Winston Churchill ordered Operation Crossbow, a plan to destroy V-1 production and launch sites. Over the next few months over 36,000 tons of bombs were dropped on these targets. The V-1 (also known as a flying bomb, buzz bomb or doodlebug) was a pilotless monoplane that was powered by a pulse-jet motor and carried a one ton warhead. They were launched from a fixed ramp and travelled at about 350mph and 4,000ft and had a range of 150 miles (240km). It was 8 metres (25 feet) long and had a wingspan of about 5.5 metres (20 feet). Evacuated Child: "What, you ain't got no sirens or doodle-bugs! It must be very dull here." Germany launched its new weapon from Pas-de-Calais on the northern coast of France, on 12th June, 1944. The first ten failed to reach the country but on the following day one landed in Essex. Over the next few months 1,435 hit south-east England. These attacks created panic in Britain and between mid June and the end of July, around one and a half million people left London. Germany fired 9,521 V-I bombs on southern England. Of these 4,621 were destroyed by anti-aircraft fire or by RAF fighters such as the new turbojet fighter, the Gloster Meteor. An estimated 6,184 people were killed by these flying bombs. By August only 20 per cent of these bombs were reaching England. (1) Albert Speer, Germany's Minister of Armaments in the Second World War, was a strong supporter of the rocket programme headed by Wernher von Braun. Ever since the winter of 1939, I had been closely associated with the Peenemunde development centre, although at first all I was doing was meeting its construction needs. I liked mingling with the circle of non-political young scientists and inventors headed by Werner von Braun - twenty-seven years old, purposeful, a man realistically at home in the future. It was extraordinary that so young and untried a team should be allowed to pursue a project costing hundreds of millions of marks and whose realization seemed far away. My sympathy stood them in good stead when in the late fall of 1939 Hitler crossed the rocket project off his list of urgent undertakings and thus automatically cut off its labour and materials. By tacit agreement with the Army Ordnance Office, I continued to build the Peenemunde installations without its aaproval - a liberty that probably no one but myself could have taken. 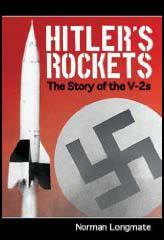 (2) Albert Speer wrote about the testing of the Waterfall rocket in his autobiography, Inside the Third Reich. On June 13, 1942, the armaments chiefs of the three branches of the armed forces, Field Marshal Milch, Admiral Witzell and General Fromm, flew to Peenemunde with me to witness the first firing of a remote-controlled rocket. Wisps of vapour showed that the fuel tanks were being filled. At the predetermined second, at first with a faltering motion but then with the roar of an unleashed giant, the rocket rose slowly from its pad, seemed to stand upon its jet of flame for the fraction of a second, then vanished with a howl into the low clouds. Wernher von Braun was beaming. For my part, I was thunderstruck at this technical miracle, at its precision and at the way it seemed to abolish the laws of gravity, so that thirteen tons could be hurtled into the air without any mechanical guidance. Approximately twenty-five feet long, the Waterfall rocket was capable of carrying approximately six hundred and sixty pounds of explosives along a directional beam up to an altitude of fifty thousand feet. (3) Albert Speer told Adolf Hitler about the Waterfall rocket, now called the A-4, on 14h October, 1942. Hitler was excited by the news as he was convinced that he now had a weapon that would win the war. The A-4 is a measure that can decide the war. And what encouragement to the home front when we attack the English with it. This is the decisive weapon of the war, and what is more it can be produced with relatively small resources. Speer, you must push the A-4 as hard as you can! Whatever labour and materials they need must be supplied instantly. You know I was going to sign the decree for the tank program. But my conclusion now is: Change it around and phase it so that A-4 is put on a par with tank production. But in this project we can use only Germans. God help us if the enemy finds out about this business. (4) R. V. Jones first became aware of the German VI Flying Bomb project in August, 1943. Meanwhile the enemy had for years been preparing an attack on England by wholly new weapons. Even before the war we had been warned of the possibility that the Germans were attempting to develop long-range projectiles such as rockets, and in the summer of 1943 the threat was obviously becoming serious and was taken very seriously by the British Government. The Germans had no bombers with which to attack our cities, largely because our area bombing had put the whole German air force on the defensive, but it looked very much as though the Germans were going to develop a very efficient substitute; in fact, their discoveries might well have made all bombers obsolete; there were, for example, quite substantial reports of a rocket weighing 80 tons with a warhead containing ten tons of explosive. In 1943, to raise morale at a time when terrific damage was being done to the German cities, the enemy were uttering a series of threats about new secret weapons to be used against the English; but we had much better information to go upon than this. It was known that these secret weapons were being developed at a particular place, a large research establishment and factory on the shores of the Baltic, at Peenemunde. On July 7th I held a conference at my headquarters to consider the best method of attacking this objective. It must be remembered that at that time our only successful attacks on single factories in Germany had been made by small forces of exceptionally experienced crews, either in daylight, or, as in the attack on the Heinkel aircraft works at Rostock in the spring of 1942 or in the shuttle attack on the Zeppelin works at Friedrichshafen, when there was an unusually good chance of identifying the target by night. In the attack on Peenemunde, I knew that I should have to use the main force to ensure the destruction of a target of such great strategic importance; and that the attack would have to be made in moonlight; there could be no question of trusting only to H2S for the identification and marking of a target of this nature and Peenemunde was far beyond Oboe range. Even in moonlight, it would be an extremely difficult task to destroy the whole establishment. Its buildings lay scattered in a narrow strip along the coast line and there was obviously a great risk of wasting most of the bomb load unless some new method of attack was devised; there would clearly have to be several aiming points with different sections of the force assigned fo each of them. It was also known that Peenemunde had a smoke screen and, though the target indicators would show through this and timed runs from a marked position outside the smoke screen would help, the marking itself would be a complicated business. The tactics eventually adopted were a combination of the normal Pathfinder tactics and those worked out by No. 5 Group for attacks by specially experienced crews. There was, for example, a Master Bomber to assess the accuracy of marking and to give instructions by radio telephone to the whole force; it will be remembered that 5 Group had used this tactic in the previous June in an attack on Friedrichshaven. The main force bombed target indicators dropped by the Pathfinders and were guided by route markers laid by them, but a force of Lancasters from 5 Group were to attack separately in the later stages of the attack, when there was reason to fear that the markers would be obscured by smoke. (6) Rosy Norwalk was an American Red Cross nurse working in London. She wrote about her experiences in her journal. 16th May 1944: We just got a buzz bomb alert. Almost in unison we asked what that was. "It's the Nazi's latest weapon," he told us, pronouncing it 'Nassi's.' "A pilotless aircraft - mostly a bomb with wings and motor attached. Looks like a small airplane as it approaches. When the motor cuts off the bomb either falls straight down or explodes or drifts on awhile before falling to explode. You're all right as long as you can hear the motor. Get your helmets back on, girls, as the Nassi's send them over in swarms, any time of the day or night." And he rushed off to the next compartment. London and southern England have now been under bombardment for more than a week. For nine days, with very little interruption, the V-1 projectiles have been descending on the British capital. May I remind you, the name V-1 has been given to them officially. 'V is the capital letter of the German word 'Vergeltung', which means 'retaliation', and its use to denote the concept of victory must be familiar to nearly all of my listeners. The very term V-1 implies, of course, that Germany has other new weapons which have not as yet been employed against the enemy. That is a fact, and is a fact which even the British Government is beginning to realise. The emergence of V-1 has provided a surprise for Germany's enemies and I believe they will have several other surprises 'before the autumn leaves fall', if I may borrow a phrase which Mr Churchill used on a certain occasion. Germany's military policy in this war is based not on slogging and on squandering but upon a scientific economy and application of energy, but this is the kind of policy the details of which must never be disclosed before the right time. It can reasonably be assumed that the battle in the East against the Bolshevik foes of civilisation will be hard and fierce and there is every reason to believe that the battle in the West against the capitalist agents of Jewish international finance will attain a climax of violence possibly without precedence. But in the closing rounds of this war it will be seen that Germany has conserved her strength to a degree that will confound her enemies. By an amazing coincidence on 12th July, 1944, a doodle-bug fell almost in the same crater that the bomb had made a year before. The robot had been shot down and diverted by a fighter who was attempting to bring it down in open country, and he was afterwards so distressed that he drove specially into East Grinstead to apologise for any damage that had been caused. (9) In 1945, T. P. Peters, an Air Raid Warden in East Grinstead, wrote about his experiences during the Second World War in his book, Reminiscences (1945). Flying Bombs were passing over day and night. An average of 5,000 people a month were sleeping in the public shelters. We had some very near misses. A Flying Bomb was shot down in London Road. Fortunately the casualties were not very heavy - three killed, thirty-eight injured, as it occurred about 7.30. Had it been later in the day no doubt the list would have been heavier. As it was, great damage was done although it fell on the rubble of the previous bombing. (10) Jim Woods, interviewed in 1987 about his experiences as a child during the war. The V1s were quite noisy and you could hear them in the air-raid shelter. They sounded like a motorbike running without a silencer. You would listen for them to stop and if they stopped overhead you knew they would hit close by. Sometimes they came over during the day. As kids we were curious to see them rather than running for a shelter. They were more body than wings. Pointed at the front and cut off at the back. They had short square wings. It was as big as an aircraft. Probably bigger than a spitfire in size. You couldn't mistake them for anything else. When they landed they could devastate a whole area. (11) Air Marshal Peter Wykeham, was in London when the first VI Flying Bomb landed in June, 1944. For in the early hours of the morning of the 13th a newcomer appeared on the scene. It was a quarter past four and the clouded sky was turning from black to grey when the commander of a Mosquito Wing stood talking to his Chief Operations Officer on the aerodrome at Gravesend. They were very weary. All night their aircraft had ranged over Normandy, among the silent villages and above the roads Uttered with wreckage. As they walked towards their tents they heard an odd noise in the eastern sky, like a motor-cycle running under water. Almost before they had picked out the crude cruciform shape and the bright light at its tail they knew what it was, for they had hunted its lairs for months past. They watched it as it flew straight over their heads and bustled on towards London. It had hardly passed when there was a sudden silence, then a pause followed by a reverberating explosion. They stood and looked at the billowing cloud of smoke that showed faintly in the sky towards the river. The first launching sites were, as I have already described, so effectively bombed by the American and R.A.F. bombers that the Germans soon abandoned them; they learned too late, in the beginning of 1944, that it was hopeless to rely on anything vulnerable to bombing, especially at so short a distance from bases in England. But the bombing of the French railways also had a profound effect on the V-weapons campaign and made largely ineffective the new dispersed sites which sprang up all over the Pas de Calais. In fact the threat of the flying bomb seemed to have been sufficiently removed that it was judged safe to remove all targets connected with flying bombs from the list of objectives for the allied bombers in the weeks before D-Day; in any case, the bomber forces were wholly preoccupied with the preparations for invasion which in the agreed Allied strategy rightly came before anything else. When the bombs were eventually launched the enemy's supply system was so thoroughly disorganised and the new sites were so ill-adapted to the rapid launching of bombs, that instead of an average of 6000 flying bombs, the enemy was only able to launch an average of 95 a day between the middle of June and the end of August. Of these only two-thirds made landfall and less than one-third reached Greater London after encountering the fighters and anti-aircraft defences of Southern England, but everyone knows how serious a trial these weapons were and can judge for himself what a bombardment more than sixty times as heavy would have been like, especially as the defences would inevitably have been saturated by such a weight of attack and fighters and anti-aircraft guns would have been unable to bring down anything like so large a proportion of all the flying bombs launched. Enemy raiders were again over South England after dusk last night. Guns were firing in one district at 'planes which appeared to be of the pilotless type. An observer in one district reported that a 'plane showing a yellow light was shot by tracer bullets. Flares were dropped in one area. First news of the use of pilotless 'planes was given in the House of Commons yesterday by Mr. Herbert Morrison, the Minister of Home Security, who said that the Germans are now using against this country their "much-vaunted new weapon," the pilotless aeroplane. A few were scattered over a wide area of Southern England on Tuesday morning, but a larger number were used on Thursday night and some again yesterday. Incidents have been reported at several places, but last night the damage was officially described as "relatively small." Reports have been received of radio-controlled bombs falling, and various districts are said to have been "automatically fired on by machine-guns." The enemy's preparations for launching the new weapon have not been unnoticed, and Mr. Morrison gave an assurance that counter-measures were already being applied. The information at present available, he said, did not suggest that an exaggerated importance need be attached to the new development, but it was probable that the attacks would continue, and it was important that people should not expose themselves unnecessarily by remaining in the streets while the guns were firing. For the time being the usual siren warnings will be given whenever a raid is threatened, either by piloted or pilotless aircraft. directly overhead, and dashed into the garden to find out what it was. It was still making that peculiar 'rump, rump' noise and as far as I remember it had a burning red 'nose'. It looked so odd that we turned to one another and burst out laughing; then came the fearful silence, followed by a crash - fortunately on open ground some way away. The house was directly in the path of these flying bombs. At first a barrage of balloons was put up in an effort to bring them down; this proved useless, however, and the next move was to have the bombs chased by Spitfires and shot down. This was not very successful either, until they hit on the idea of using two fighters to every buzz bomb, approaching the latter at a V angle. I attended a very small meeting of ministers, with the Prime Minister in the chair. I was pressing, not for the first time, for more effort by the Air Staff against the flying bomb sites in Northern France. This was at a time when much of our air offensive was against German industry and communications as part of the strategic action in preparation for D-Day. As Minister of Home Security I was, of course, correct in putting forward my views on minimizing the menace of the V1 and V2 to the civil population. Lindemann set out to prove that the flying bombs were not so serious as I made out. He produced some figures which indicated that each doodlebug launched by the enemy was responsible for killing one person. He added that, while this was unfortunate, the V1 was obviously not really a menace. As everyone was only too well aware that the noisy transit of these flying bombs, the awe of a pilotless aeroplane, and the quantity of them had all contributed to a fear among the people possibly, if temporarily, greater than in the conventional raids of a couple of years before, I was angry at this remote and impersonal view of the situation. "Prime Minister," I said, "the Professor is good at statistics and I am not in a position to dispute his figures; they may be right. But what is disputed is that the Prof does not understand the human aspects and he does not trouble to find out or imagine what actually happens when one of these flying bombs explodes. "First of all he assumes that they drop over a wide area. But you may get as many as ten within one borough, for example in Hackney. When they drop they not only kill the Professor's one person - one bomb may kill several - but they wound a considerable number. They destroy or damage the homes, furniture and possessions of humble people. "The hospital services do not merely put the ten corpses from the ten V1s of the Professor's statistics into the mortuary; they have the injured from the ten incidents. Civil Defence has a big job, and the local authority has to find accommodation for the bombed-out families. If a factory is hit, there may be only one person killed, but production will be interrupted and people thrown out of work. Finally, while there will be no real panic, the people, knowing that they are within range of V1s, will be in a state of anxiety. 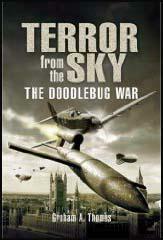 My submission is that the sooner we destroy these flying bomb sites and stores the better, and it is my duty to say so."